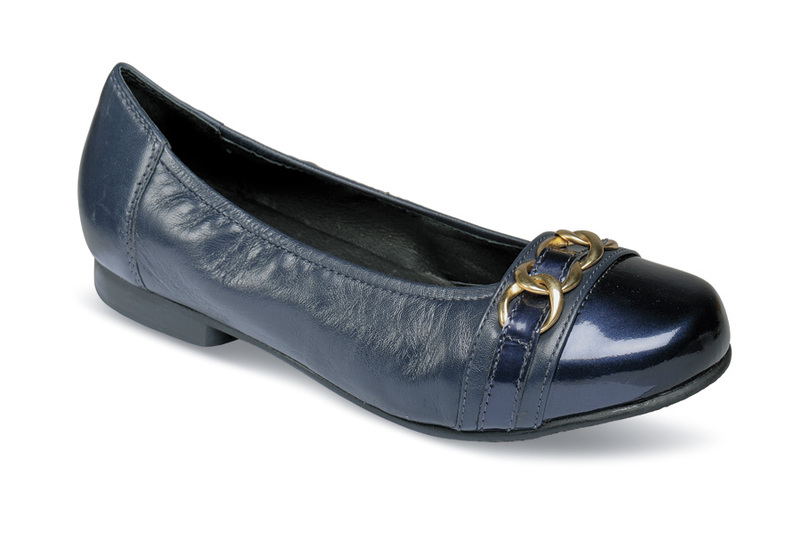 The navy “Piccadilly” flat from easyB of England has attractive gold chain trim and an elasticized top line for a comfortable, secure fit. 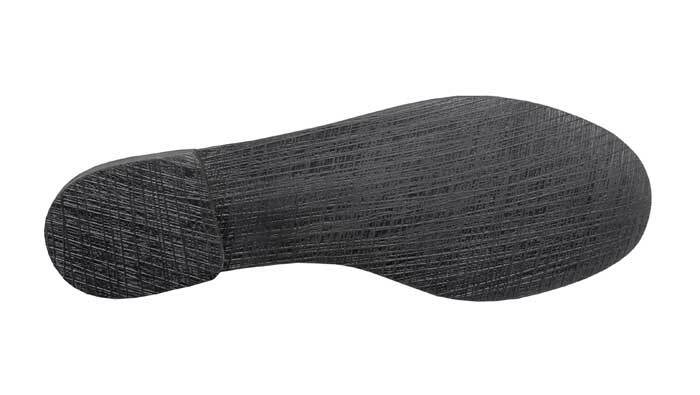 It is lined with leather and has a removable leather “air comfort” insole, providing extra depth or room for orthotics. Limited stock in women's variable 2V width (fits 2E to 4E) to fit the U.S. sizes indicated.